*All hires commence and terminate at 9am. Bank View Hire has remained in the same family since the first day of trading as a limited company on 12th July 1966. We pride ourselves on our passionate team of personnel who are dedicated to customer service excellence. Bank View Hire, offering van hire in Bootle, are a family company established for over 50 years. 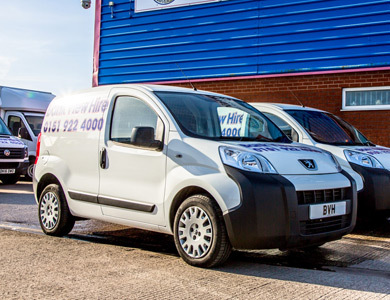 Locally known as BVH, Bank View Van Hire has been supplying car rental, truck rental and van rental in Liverpool since 1966. Conveniently located on the main A565 between Crosby and Liverpool (opposite Lookers) at Derby Road, Bootle. As Liverpool's leading independent vehicle Hire Company we have a huge fleet of over 160 vehicles including cars, small vans, large vans, Luton box vans with tail lift, Low Loader vans ideal for moving house, Dropside flatbed Lorries and Tipper Trucks. Also Crew Cab Vans and Tippers. We only choose the most robust and reliable models which include, Bipper, Partner, Doblo, Berlingo, Transporter, Custom, Transit and Sprinter from the best manufacturers including Peugeot, Fiat, Citroen, Ford, Mercedes, Vauxhall and Volkswagen. 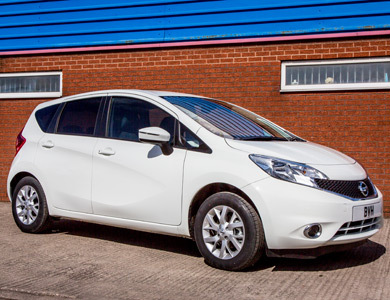 Our fleet is constantly replenished and the average vehicle is less than 3 months old. We specialize in B2B contract hire, business users on flexi hire, short term rental or fixed long term agreements. So if you're looking for a great deal and thinking of leasing or renting a vehicle just give us a call. We have loyal customers throughout Merseyside including Southport, Ormskirk, Formby, Crosby, Knowsley, Kirkby, St Helens, Widnes, Speke, Garston and the Wirral. Bank View has been recognized throughout business and industry with many awards including Best Small Business in Sefton and Best Woman in Business in Sefton. For quality van hire in Liverpool at competitive rates call our helpful team on 0151 922 4000. BVH is working closely in conjunction with Merseyside Police, The Motor Insurance Database and Multiple Hire Companies in an attempt to combat and eradicate Staged Accidents and Fraudulent Insurance Claims to benefit our genuine customers.